There’s a scoreboard in the booklet that comes with David Bridie’s new CD Wake. Bridie’s working of Hank’s I’m so lonesome I could cry works. He’s a Melbourne supporter. A change is coming in the WAFL. East Perth will be aligned with the Eagles and Peel with the Dockers from 2014. The process began this year but will be in full swing next season when no AFL listed players will be anywhere but the aligned clubs. 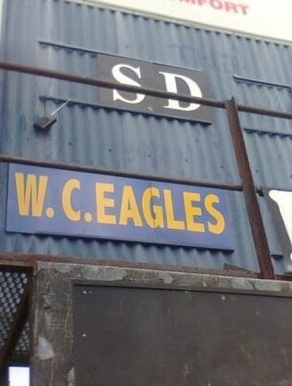 When Swan Districts hosted East Perth at Bassendean in round nine someone played a little joke and put a West Coast Eagles nameplate up where East Perth should have been. There was a complaint and it was changed. It was funny but ultimately the joke was on the Swans – the Eagles, I mean the Royals, won by 20 points. 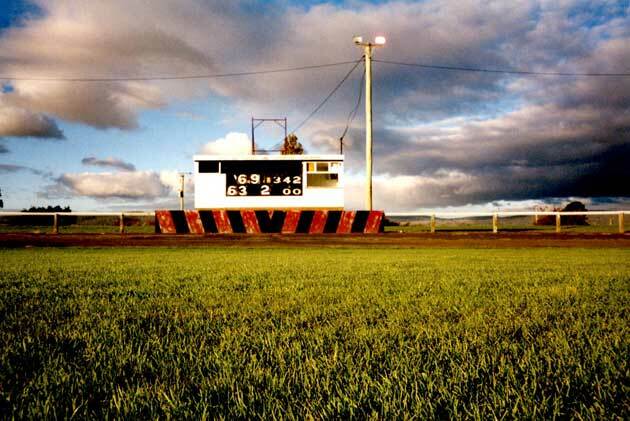 I don’t recall ever having an operating scoreboard during my two and a bit seasons with Graylands Teachers College in the WA Amateurs. So it was no surprise, but still disappointing, to come across a game without a scoreboard at Park 10 in Adelaide recently. 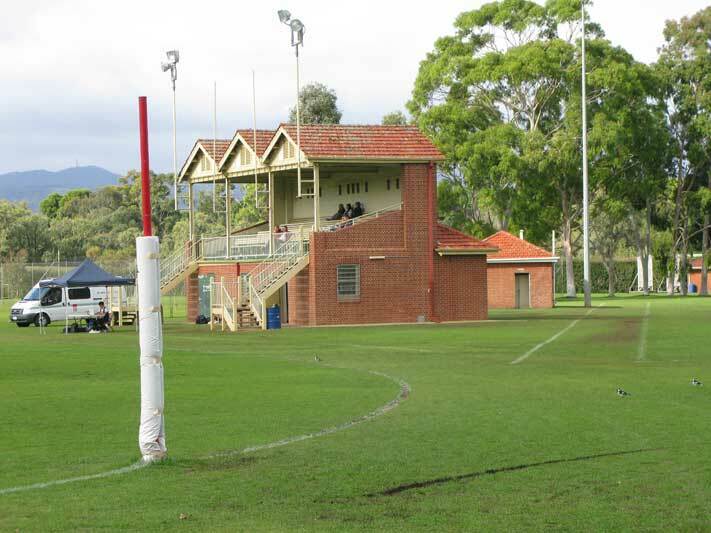 The ground has a wonderful old grandstand but no scoreboard. It didn’t matter. I watched the uni-house round robin game between Flinders and St Anne’s for 20 minutes and neither team scored. 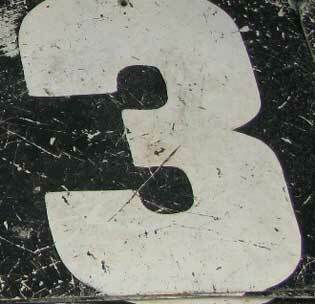 The goal umpire filled me in on the details – he had nothing else to do.